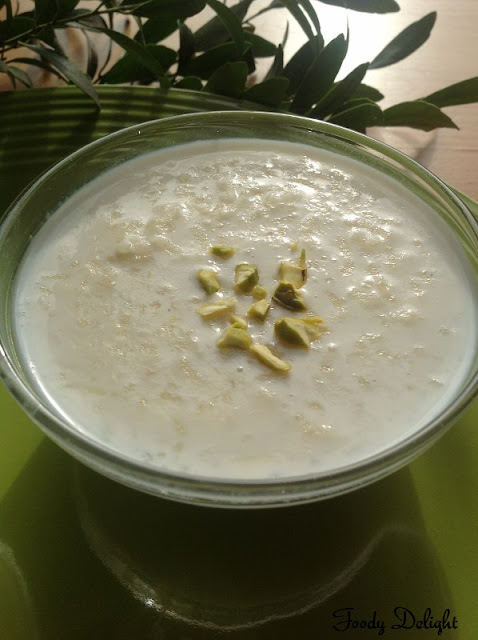 Phirni is the very popular creamy rice dessert of Punjab. I can tell this is the staple dessert of Punjab and served in all dabbas. Though it takes very long time to cook,it tastes great and heavenly delicious. 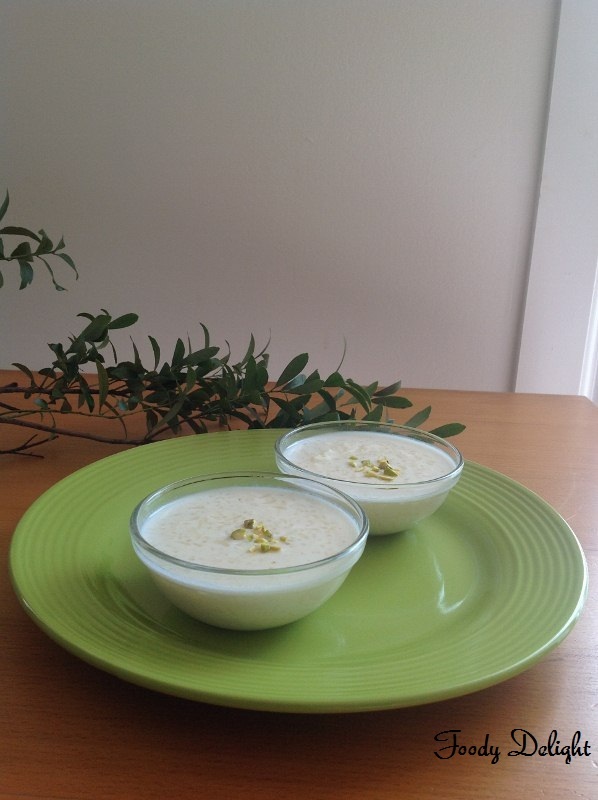 Some people prefer to prepare this dessert with rice flour, as the q uick version.But the traditionally this dessert is prepared by using the whole basmati rice,milk and sugar. Then fragnanced with rose water, cardamom powder and some pistachios. Wash the rice and soak it into water for 1 hour. Crush the rice in between your fingers before adding into the boiling milk . That is each rice grain should break into atleast 3 pieces. Just an idea!! Pour the milk into one large pot and boil it on the medium flame. Stir continuously and cook till the milk reduces to half of its original quantity. Add the soaked rice into the boiling milk . Stirring continuously cook the rice on the low flame until it becomes very soft. 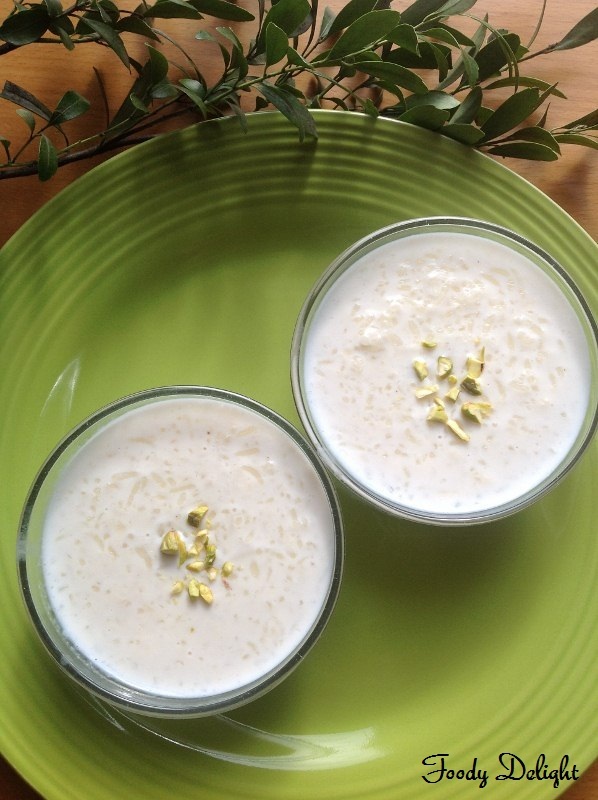 Once the rice becomes soft, add the sugar, cashewnuts, pistachios and rose water. Stir well and cook for 15 minutes. Now mix in the cardamom powder .Mix and cook for again 5 minutes. 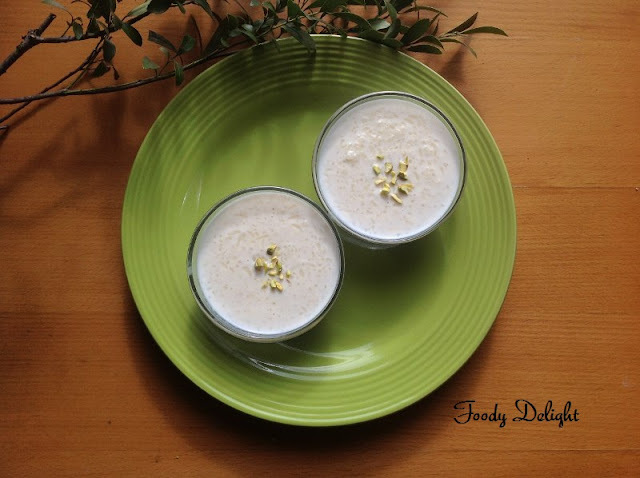 Turn the flame and allow the Phirni to cool down. Chill the Phirni before you serve and top it with some chopped pistachios. 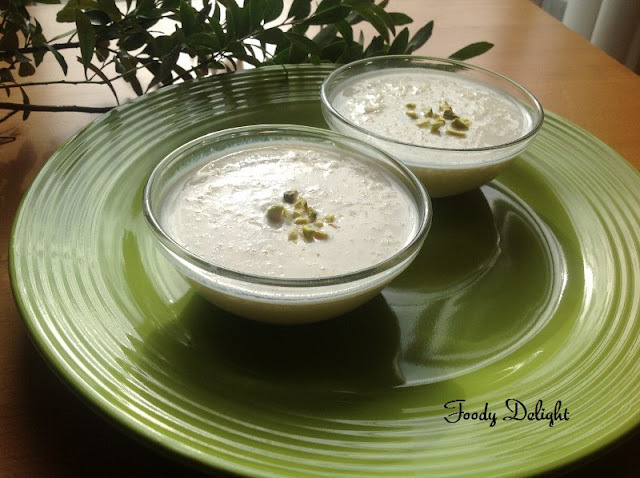 Super irresistible phirni, just drooling rite now here..